There are many different varieties of grass homeowners can choose from. Depending on the region’s weather, one will either opt for warm season or cool season grass types. Some of the more popular types of grass include Kentucky Blue Grass and St. Augustine grass. Lifestyle and climate are the two most important aspects to consider when choosing the right grass for a lawn. As a warm season grass, Bermuda grass growth is limited to more tropical and subtropical climates. It is often used as a sports turf on golf courses and is particularly popular as a lawn grass. Bermuda grass can grow well in a variety of soils and is slightly drought resistant. It is well suited for high-traffic areas and spreads quickly. In areas with high rainfall, Bermuda grass can rapidly invade crops such as cotton, sugarcane and corn. Buffalo grass is another warm season grass type known for its ability to withstand extreme temperatures as well as prolonged periods of drought. It is not suited for high-traffic areas or regions with high amounts of rainfall. Native to the Great Plains, the sod of buffalo grass was often used on the homes of early settlers. This grass is low growing and will turn brown when dormant during the drier summer months. 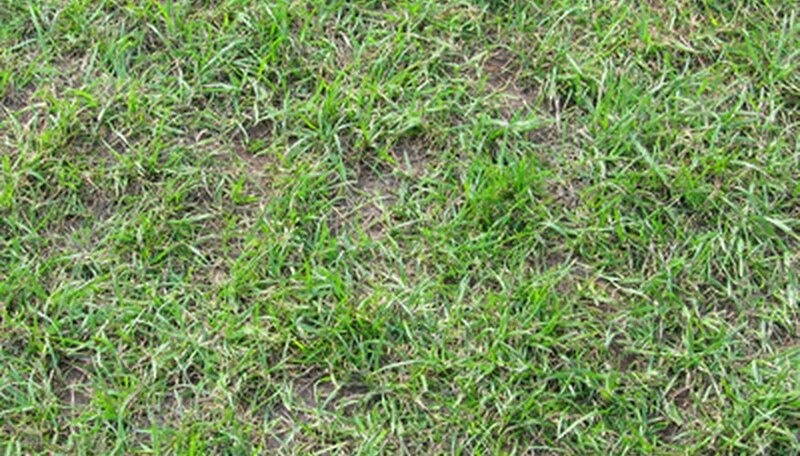 Kentucky bluegrass is considered by many to be the ideal lawn grass. It is known for its dark green shade and dense, medium texture. There are over 100 varieties of Kentucky bluegrass. It is not native to North America but is common throughout Europe and Asia. In North America, this grass is found in the transition zones but can be grown in the west with irrigation. As a cool season grass, Kentucky bluegrass is not tolerant to heat. It is also susceptible to various lawn diseases as well as dandelions and clover. Tall fescue is another popular cool season grass. It can withstand high traffic, but is not as wear hardy as Bermuda grass. Tall fescue was introduced in the United States from Europe. It does best in moist conditions and is commonly found in low, damp meadows and pastures. The best regions for this grass in the United States are the transition zones, although tall fescue can adapt to many different soil types. Tall fescue is also drought and shade tolerant. Found along many coastal regions, St. Augustine grass is a popular grass due to its tolerance to a variety of soil types including sand. It thrives in high temperatures but is also one of the highest shade tolerant warm season grass types. St. Augustine grass can be high maintenance during growing season when used as a lawn grass. It is susceptible to many problems and requires fertilization and irrigation for optimum lawn growth.